Nappy cream is crucial for keeping your baby’s delicate bottom area smooth and free from nappy rash, which can cause very irritated and sore skin. 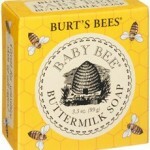 I don’t use medicated creams on my baby if I don’t have to, preferring to keep my baby as chemical free as possible. 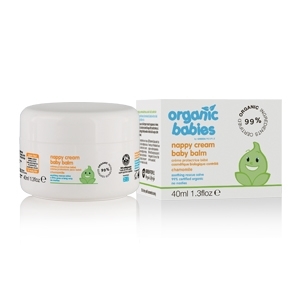 Looking for a natural alternative to medicated nappy creams, my search for the best natural nappy cream led me to Green People who produce a wonderful and gentle, highly effective Organic Babies Nappy Cream Baby Balm. 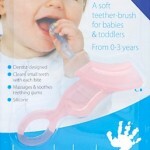 It’s 100% natural and uses organic ingredients, helping to protect the skin against dampness which can lead to nappy rash. 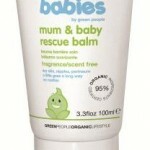 And if you suffer from dry skin, Organic Babies Mum and Baby Rescue Balm is perfect for healing and gentle enough for use on mother and baby. « Struggling to Find the Best Baby Names?